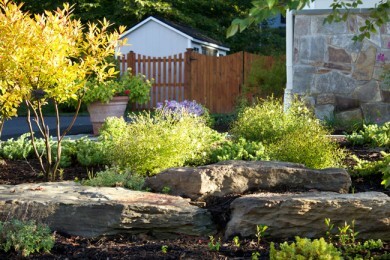 Are you looking for a full-service landscape company in Great Falls, VA? O’Grady’s Landscape, established in 1991, is a dedicated landscaping firm that offers a wide variety of services with specialties in project management and customer support. At our Great Falls landscape company, you’ll gain access to a team of dedicated landscape designers and project managers that have an average of 14 years’ experience in the field and have spent around nine years at the company. By combining thoughtful design and careful craftsmanship, our team works together to produce breathtaking landscapes our clients love, serving as your one-stop-shop for landscaping in the Great Falls area. No matter what your needs may be, our landscape company has you covered—meaning you can count on us to install hardscapes, maintain your lawn, or create a landscape design that will transform your entire property. Ready to see the difference O’Grady’s Landscape can make in your home? Call us at 703-533-5001 or fill out an online form to schedule a consultation. 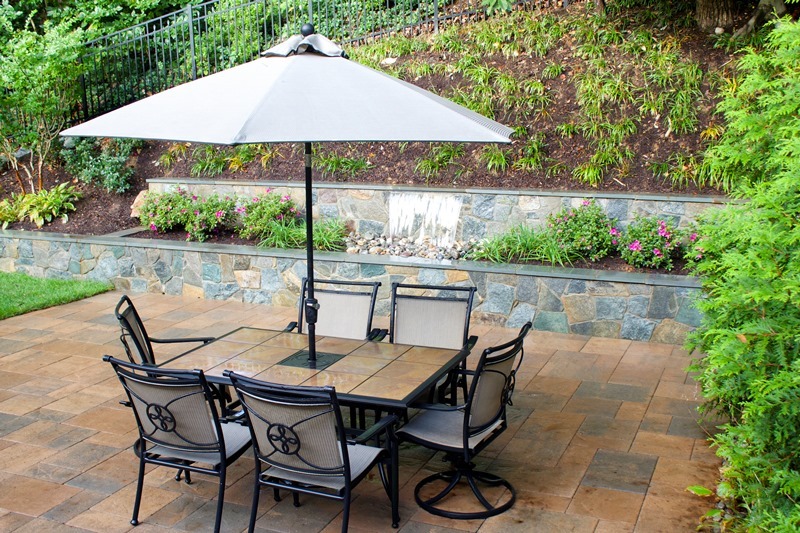 Whether you want to install an outdoor patio for entertaining, keep your lawn healthy throughout the year, add seasonal color to your landscape, or need a reliable pruning service, O’Grady’s Landscape is the Great Falls landscape company for you. With a high attention to detail and a customer-oriented approach to business, we can help you with all aspects of your design, build, and maintenance projects, providing regularly scheduled lawn care services or major renovations according to your style, maintenance, and budget requirements. If you have any further questions about our landscape services, check out our FAQs. Want to transform your landscape with a new design that maximizes functionality and style, hardscapes that create spaces for entertaining and relaxing, and plantings that add color and beauty to your property? You’ve come to the right place! With over 20 years of experience in landscaping, O’Grady’s Landscape has the skills and experience you need to accomplish your goals and bring your vision for the perfect outdoor space to life. When you choose our Great Falls landscape company, we’ll walk you through the entire selection, design, and installation process to ensure the final product matches your vision. We begin the process with an initial consultation where we discuss your style, budget, and functionality requirements. You’ll also have the opportunity to ask questions and receive suggestions from our landscape designers, who can help you determine whether your ideas are feasible and how they can be executed. We then provide you with an estimate for your project and schedule the work accordingly, providing timely responses if you need assistance along the way. Ready to see the difference O’Grady’s Landscape can make in your home? Call us at 703-533-5001 or fill out an online form to schedule a consultation. “O’Grady’s Landscape is a professional and first class company that I would recommend to anyone. From the initial design and proposal phase thru project execution and project management, O’Grady’s service is a company that can be trusted and true to their commitment to their customers. If you are looking for an exceptional landscape company, who provides excellent service to their customers, this is the company for you.” -Eric K.